We serve as an advisor to the owner during design and development phases, and as a general contractor during construction. This project method results in a guaranteed price as well as a disciplined process to keep a project on budget during the design process. We prefer to be involved in projects from their inception, and we approach each project with a commitment to partnering with our clients. By involving our staff early, we can have the most impact on a project by helping to select those systems and materials that best meet the owner’s and architect’s objectives. Our clients have come to rely on our ability to establish accurate preconstruction estimates. Our sophisticated in-house cost-estimating systems and our wide range of project experience provide us with a database of costs and historical data, allowing us to analyze preliminary designs and produce meaningful budgets. The attitude for safety starts at the top of our organization with input from President Walker Mathews and extends all the way to our newest employee. Our primary concern is the safety of every worker on the jobsite and the students, office workers and visitors in the vicinity of our jobsite. 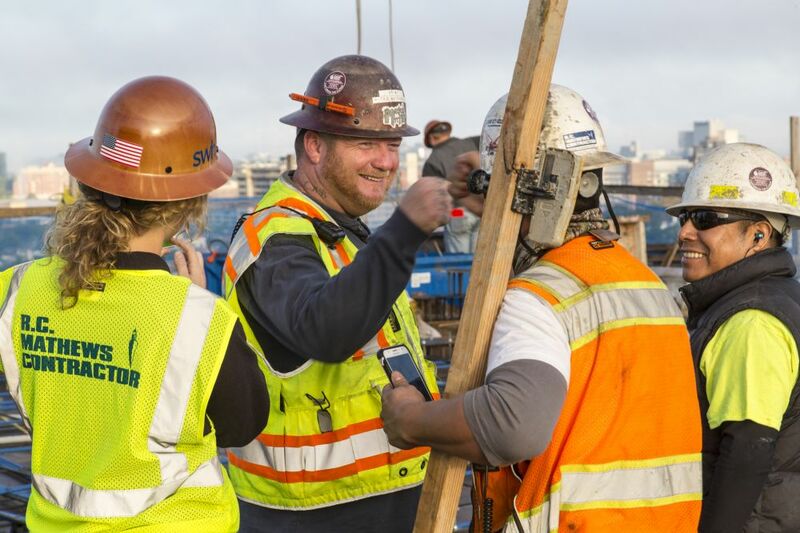 We understand that it takes a daily commitment to maintain a safe and secure jobsite. Our safety program requires site-specific safety plans, extensive training, planning and personal accountability. R.C. Mathews Contractor is an engaged participant in the effort to support and build sustainable buildings. We understand the importance of sustainable construction and its critical impact on creating cleaner, healthier, more energy efficient, environmentally conscious environments in which to live, work and learn. To date, we have completed over 1.5 million sf of LEED certified buildings and have over 1 million sf of additional projects under construction that are anticipated to achieve LEED certification. Our LEED building experience includes projects successfully completed at all certification levels. 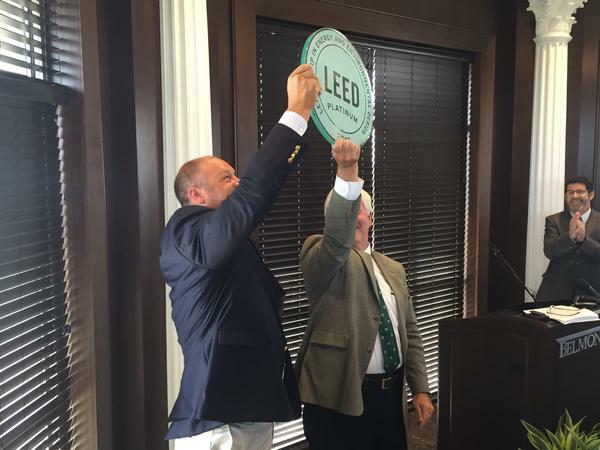 Some of our most challenging projects achieved exceptional sustainability goals, such as the LEED Platinum Certified Janet Ayers Academic Center at Belmont University. We work closely with design teams and project stakeholders to provide cost and constructability studies, offer value engineering concepts, and perform life cycle analysis to evaluate each LEED criteria on our projects. It’s part of our unique approach to making sustainability work for our clients. Our ability to self-perform gives us superior control over cost, schedule, quality and safety. Our company has an experienced staff of carpenters and laborers, many of which have been with R.C. Mathews Contractor for over 15 years. By self-performing work that many of our competitors must subcontract, we can manage the schedule more accurately and make labor adjustments to stay on schedule more efficiently that we can with subcontractors. This self-perform capability accelerates project completion and gives us direct control over the quality of workmanship and the safety of our jobsites. Our field staff is qualified to perform turn-key structural concrete, rough carpentry and can support the other trades with additional supervision and manpower as necessary. Over the last 4 years, R.C. 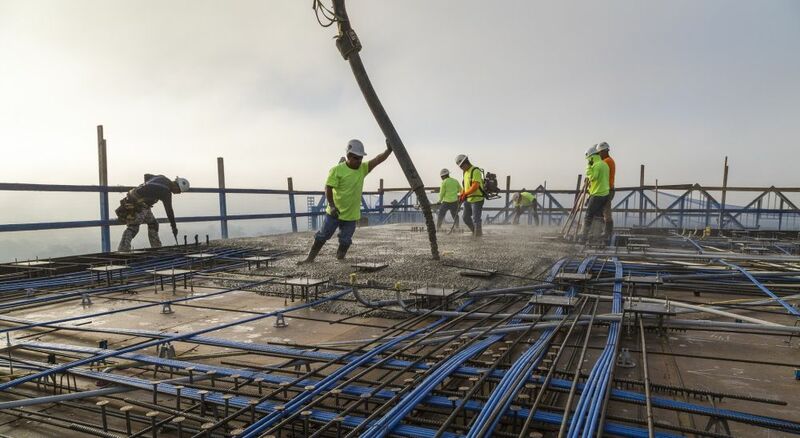 Mathews Contractor has performed over 2.5 million sf of poured in place concrete work. On our projects, we ensure the competitiveness of our own forces by soliciting bids from subcontractors who perform a similar scope, comparing our pricing to published unit prices and comparing estimated costs to our historical data on completed projects. As technology advances, so do the tools and applications for the construction industry. Building Information Modeling (BIM) is rapidly transforming complex construction processes, and R.C. Mathews Contractor is incorporating the technology on many of our projects. We have found BIM to be an invaluable tool for keeping projects on schedule by allowing us to identify and prevent problems ahead of time, identify long lead time items, and phase complex construction sequences virtually. "We are in the business of building relationships."